Unfortunately water pumps don’t last forever, they can break or fail for many reasons but your home or business definitely needs one. We specialize in Water Pump Services. The water pump serves you with fresh clean running water. It also pumps the water round for your central heating. Every pump manufacturer will recommend that you have your pump serviced annually. 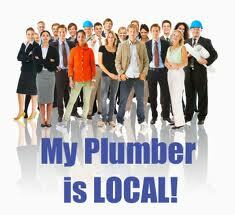 At Emergency Dublin Plumbers we are her to help. We provide the complete plumbing service, extremely competitive pricing; free call out with a professional, no obligations quotes. We pride ourselves on our customer service, with no hidden fees or charges. We do not charge traveling time or parking fees. Our vans are always fully stocked so as there is never a need to be “sourcing parts” If you need a water Pump repaired, replaced or serviced just give one of our experts at Emergency Plumbers Dublin a call on 01-6874850, we would be delighted to offer you any help advice you may require. We at Emergency Plumbers Dublin carry an extensive range of all water pumps so we can guarantee to have one to tailor to your water system, with well over 30 years experience in the installation and repair of pumps you can be rest assured you will receive an expertly completed, professional job. Any enquiries in respect to water pumps? Just give us a call, one of our experts will be waiting to assist.